Scotland’s First Accredited upholstery training centre with over 30 years of teaching experience! ​We offer a range of different courses from our dedicated training centre in an 18th century converted watermill in the beautiful Scottish countryside. Learn a range of different skills, from making your own footstool to tackling a large traditional armchair on one of our leisure or accredited courses. We were Scotland's first accredited upholstery training centre with over 30 years teaching experience. Offering levels 1, 2 & 3 upholstery training. 5 day courses – perfect for a slightly bigger project or more challenging pieces. Also a good opportunity to learn multiple skills on several smaller pieces. We run a range of different leisure courses in Upholstery from evening classes to week long summer courses. We also offer privates classes over a range of weekends. 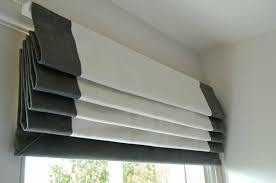 Want to make your own curtains, cushions, blinds etc and would like to learn the skills? Come along and join one of our soft furnishing classes. These 2 day courses have a high degree of one to one tuition. Perfect for individual projects or learning a specific skill. Or perhaps that favourite chair you always wanted to have a shot at!! Students will bring along a small project piece (dining chair /stool /small chair ) and be shown and encouraged in the art of furniture cane work.